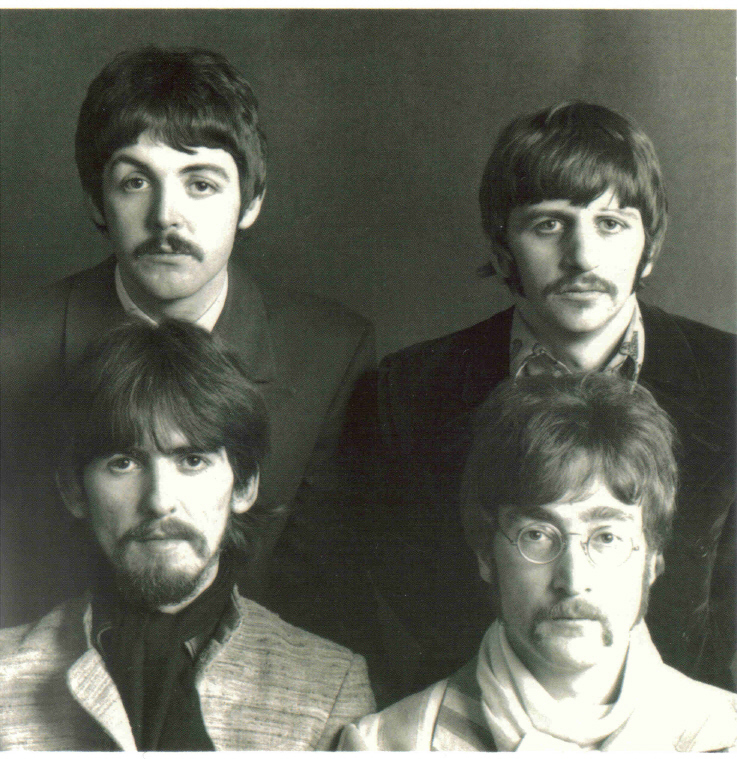 The Beatles Collection » Michelle / Drive My Car, Parlophone DP 564. 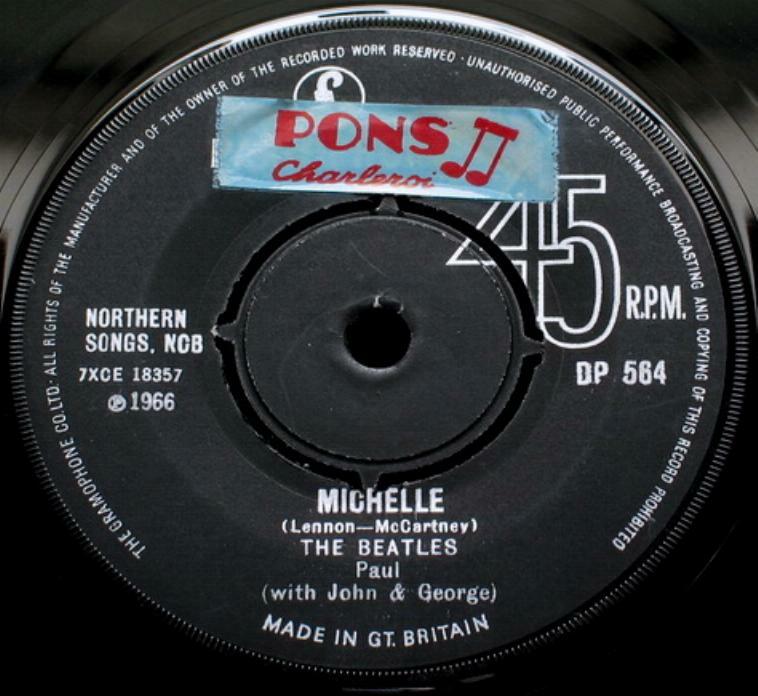 Michelle / Drive My Car, Parlophone DP 564. 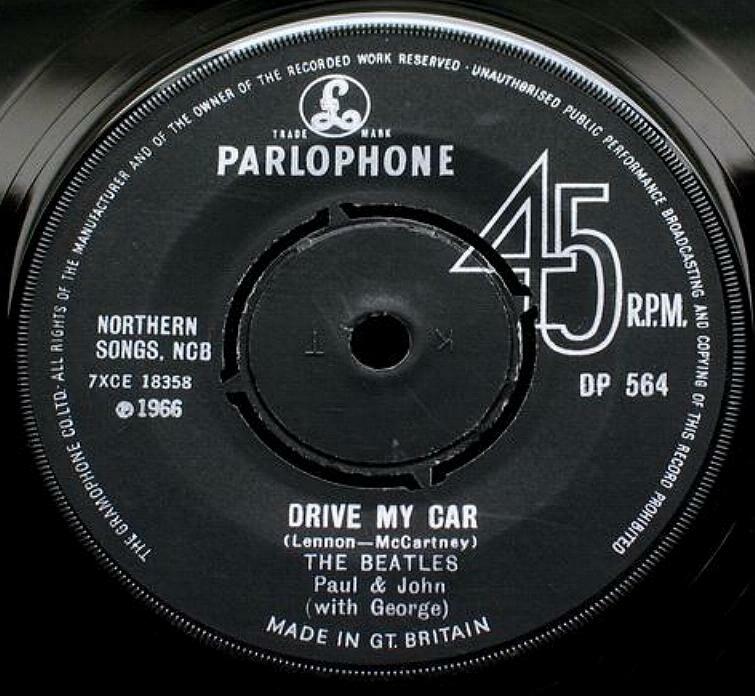 Michelle / Drive My Car, Parlophone DP 564, Mono, 1966. Manufactured export issue. Push-out center. Export issue which features “The Gramophone Co…” rim text in upper case. “MADE IN GT. BRITAIN” text is in lower case. Tax code KT. Matrix numbers: Side A: 7XCE 18357-1, Side B: 7XCE 18358-1.